Knox Pridefest 2018 is an open (and free) celebration of music, celebration and speakers focused on promoting Equality and Inclusion of ALL people. This year it will be held at the same venue as last year, the Mary Costa lawn next to Knoxville Coliseum in downtown Knoxville on June 23rd, 2018 from 12pm-8pm. The Pride parade is at 11 am. 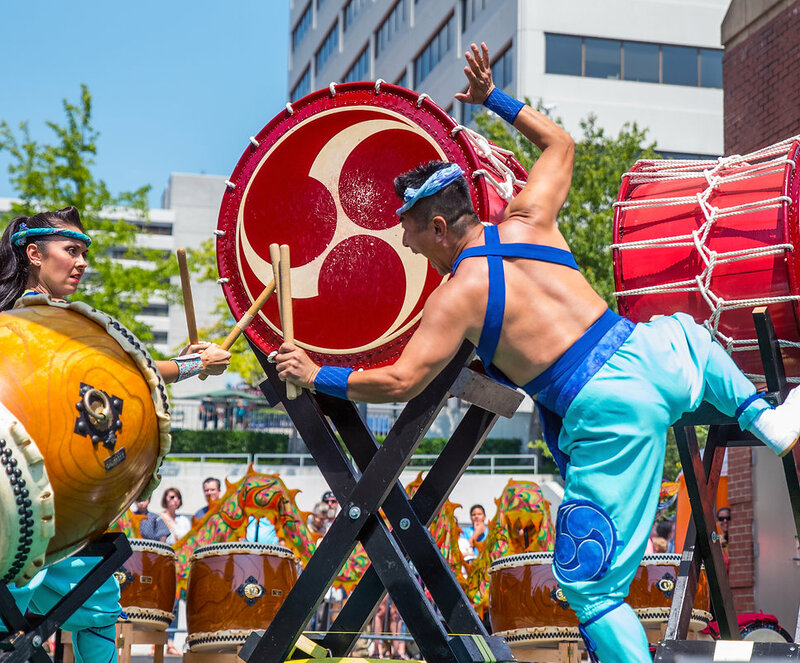 Knox Asian Festival aims to promote diverse cultures and celebrate traditions and talents from the Asian continent. The Festival aims to bring together people from various cultural backgrounds, to promote peace, harmony, unity and healthy life style. Each participating country will showcase its unique music, dance, food, fashion, handicrafts and other products. Iglesia Bautista La Gran Comision, 1021 South Cumberland St., Morristown, TN 37813, is devoting itself to community service in remembering the legacy of Dr. Martin Luther King, Jr.
On Monday, January 18, 2016, the congregation’s pastor, the Rev. Alfonso Jerezano, will be leading church members and others who wish to help in projects serving four local organizations. Pastor Jerezano is organizing three separate groups and sending them forth. A fourth group will devote the day to service at the church. Pastor Jerezano welcomes both English and Spanish speaking volunteers. The ethnic basis of Morristown, the county seat of Hamblen County, is that 80% of our population traces its heritage to Europe, primarily Scotland, Ireland and England. 16% of our population is Spanish-speaking with origins in the Southern Hemisphere. 4% of the population counts its heritage as primarily African-American. Interestingly, one hundred forty years ago, Hamblen County had a significant number of free, black landowners. And, our community remembers with both nostalgia and some pride, those years when Morristown College, a historic and important black college, was vibrant and active. The college was founded in 1881 by the national Freedman’s Aid Society of the Methodist Episcopal Church. The school was renamed Knoxville College-Morristown in 1989 and closed in 1994. A cooperative plan by the city and developers is in the works to convert Judson’s Hill, the old Morristown College campus, into a combined use area for different kinds of housing, shops and a community center. The plan is to find ways of preserving and incorporating the heritage of Morristown College into the plan. All of this is to say that relationships between all people of color and white residents in Hamblen County have been complex. Black residents of Morristown knew and experienced the same prejudice and denial of civil rights that is part of our nation’s history. At the same time, planted in this region, was both a lifestyle and an institution that created opportunity and trained its students for success and position in the larger society. It was, quite literally, a light shining from a hill – Judson’s Hill. The rapid growth of the Spanish-speaking population in Hamblen County has brought some of the same incorporation issues that can be found in other parts of the country. Likewise, our community is enriched and broadened in learning about the different cultural features of one another. The economic bases of our community until the late 1940’s were twofold. They were farming (especially tobacco growing) and small, family-owned businesses. Light industrial manufacturing began to arrive after WWII. The greatest growth happened in the 1970’s and 1980’s as international businesses began establishing manufacturing plants here. Now, seventeen different countries are represented in our industrial base. When one goes to the grocery store, one hears different languages and sees products from around the world. Our health system is populated by professionals who come from around the world. With such a significant portion of our population having roots outside our community, it would be easy to assume that there are few issues of inclusion in our community. But as elsewhere, there are faces and voices that are not heard often in governance, leadership or decision making. As elsewhere, there are some who can celebrate the differences in people and others who cannot. We believe that recognizing the culture and differences of our people creates a mechanism for greater understanding and appreciation. Finding ways to gather and learn about others lowers the level of fear and suspicion and adds both depth and breadth to our community. Sometimes, confrontation about issues related to intolerance is essential. However, we believe that in the longer term, celebrating our gifts, our histories, our experiences and our cultures opens pathways to long-lasting cooperation and the kind of deep respect that benefit all. So…this Task Force is composed of a group of people who see building relationships, cultural awareness and diversity as adding value and strength to our community. We are a stronger, fairer, more cooperative and healthier community when we can work and play and learn together. The Morristown Task Force on Diversity cordially invites residents of the Lakeway area to a Community Celebration of the continuing influence and legacy of the work of Dr. Martin Luther King, Jr. on Monday, January 18, 2016. Doors open at 7am with the buffet breakfast catered by Jersey Girl. See Ticket Information below. In addition, Morristown Task Force on Diversity, Hamblen County Schools and the local newspaper, The Citizen-Tribune, are co-sponsoring the annual essay contest. Winners in four categories will be presented their awards at the breakfast. Detailed information about the essay contest can be found on the drop-down menu under 2016 Essay Contest. The program will conclude by 9am in order to allow those who attend and who wish to participate in the Annual March in Dandridge to take part in that event. TICKET INFORMATION: Tickets for adults are $15. Student tickets are $10. Tickets for Veterans are $10. One only need to show one’s card at the door. To Pick Up in Person: Tickets are available at Rose Center, at the office of the Citizen-Tribune or from members of the Task Force. To Reserve Tickets and Pick Up at the door: Tickets may also be reserved and picked up at the door by going to the menu tab “Contact Us” and send us a reservation request. The deadline for reservations is January 11, 2016. To Communicate with Someone in Person: If you have questions and wish to speak with someone from the group, click the tab marked Mailing Address and Phone Numbers just below the Contact Us tab. There you will find several avenues for making personal contact.